Coach Tucker, with over ten years of varsity head coach experience at the high school level, is a 1993 Fayette County High School, Alabama graduate. Coach Tucker, who started at quarterback from the 7-12th grades holds multiple high school state records in Alabama and was a former quarterback at the University of Alabama. He replaced his father, Waldon Tucker, the winningest coach in Alabama high school history, as the Fayette County head coach after his father retired in April of 2011. Coach Tucker also spent one season as the head coach at Sipsey Valley High School, Alabama in 2010. Coach Tucker led Fayette County Tigers to two Class 4A state runner-up finishes in the past four years (2015 and 2017) and went 76-31 during his tenure and finished last season with 9-2 record. He also led the Tigers to a Class 3A runner-up finish in 2012. Coach Tucker played quarterback at the University of Alabama (1993-97), where he received his Bachelor’s Degree in Education. Coach Tucker is married to Amy and they have two children. 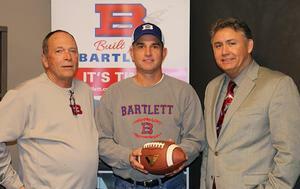 Coach Tucker will begin his transition from Alabama to Tennessee this summer and will be actively involved with all aspects of the Bartlett football program moving forward. 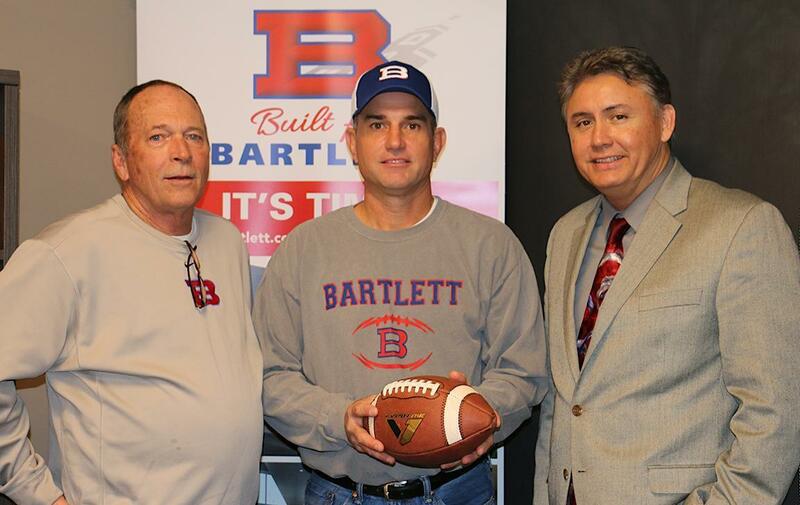 Coach Tucker also comes at an exciting time for the school district and Bartlett High School as the Built for Bartlett renovation project on the high school campus undergoes its $60 million renovation. Many of the improvements include the athletic program such as a new turf field playing field, weight rooms, training space, and office spaces.